I think I’m out now – The aftermath of coming out in a national newspaper. It seems like a lifetime ago now, when I was beginning to come to terms with my sexuality, I turned to the internet for support. 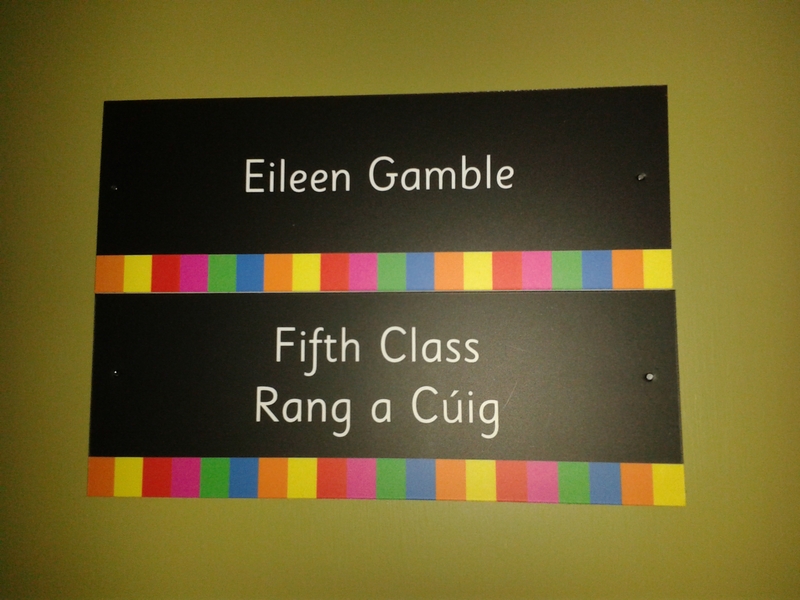 It was a desperate and almost fruitless search to find any trace of personal accounts from other Irish LGBT teachers. Were any LGBT teachers out in work? What happened when they came out? How did they handle questions about their private lives? 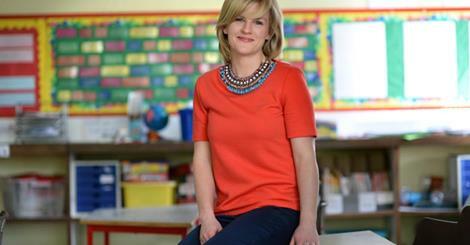 What did Irish LGBT teachers even look like? What if I really was the only gay (teacher) in the village? Finding the INTO LGBT Teachers’ Group gave me my first opportunity to answer some of these questions. And unsurprisingly, it turned out that LGBT teachers weren’t half as mysterious as I’d imagined. They were just teachers who happened to be gay. This sounds pretty obvious, but when the very mention of the word gay is met by silence in so many staffrooms, when it is presumed that you are straight, and even online searches for “gay teacher in Ireland” show sparse results, it sends out the message that there is no room for LGBT teachers in Irish Schools. I hoped that starting this blog might be another small step towards changing this misconception. It took me three weeks to sum up the courage to publish the blog under my own name. By then I had decided that I would never again force myself back into the closet for any reason, even to stay in the career I love so much. So when I sat down to start the blog, I felt I had nothing to lose. What I hadn’t thought about was what I would gain. When Grainne Faller from the Irish Times approached me to write an article based on the blog, I tried not to think about the consequences. It had been all well and good when only a handful of people had seen the blog, but my 96 year old granny reads the Irish Times and let’s just say, there’s a couple of things my family have neglected to tell her about my personal life these last few years. Nevertheless, it was an opportunity for an LGBT teacher to write about their personal experiences in their own words. The very people Section 37.1 affects most are often left voiceless and faceless. For so many LGBT teachers, anonymity has been our employment protection because our equality laws have failed us. We have relied on others to speak for us, or our comments have remained anonymous, save a few brave individuals who were the inspiration for this blog. Within two days of the article being published, I received over 500 calls, messages, tweets and emails from LGBT groups, teachers, teenagers, principals and even religious community leaders. The vast majority of messages were positive, supportive and caring. So many people wrote of the disbelief and anger they felt when they learned that Section 37.1 even exists in modern Ireland. Others wrote of their similar experiences of working in schools or other workplaces. People of all ages, both LGBT and straight, shared memories of how LGBT issues were treated in their schools. LGBT parents wrote about both positive and negative experiences of raising children attending religious-run schools. Parents came up to me in the school I was subbing in to shake my hand. Some even sat their children down and read them the article. It was a wonderful and overwhelming experience. But I also felt utterly heartbroken to learn that so many people in our communities still feel isolated or invisible because of who they are, who they love and their family structure. I just hoped that the positive messages I received were heard by everyone in these positions. 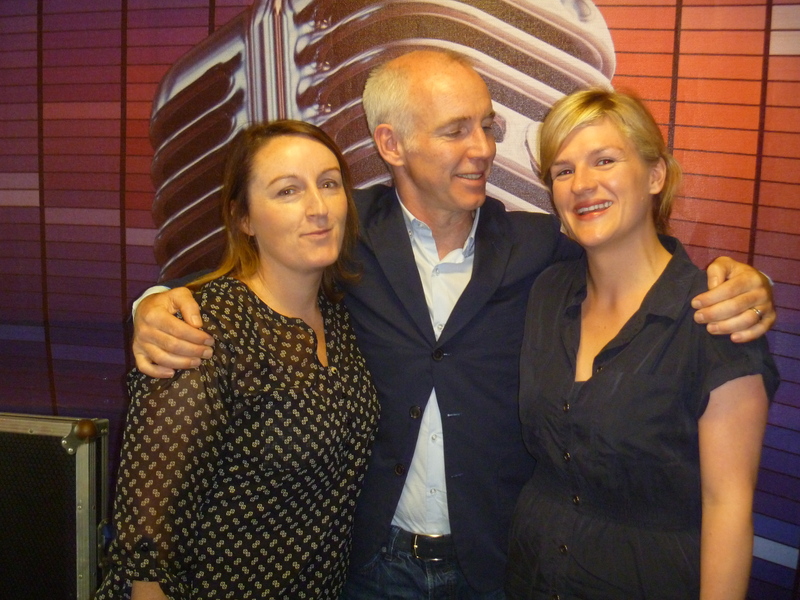 I was invited to talk with Ray D’Arcy on Today FM. The lovely Ray was extremely supportive and managed to charm all sorts of personal information out of me. But when it came to reading out emails from listeners, I held my breath. Would I be quick enough to defend myself live on air? I needn’t have worried. Other gay teachers phoned in to share their stories and parents emailed to give their support to gay teachers and gay parents. Finally, the silence was broken. 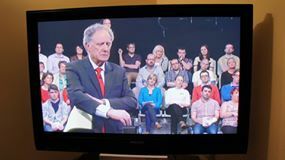 The INTO LGBT group were invited to the TV3 People’s Debate with Vincent Browne; “Is Ireland Homophobic?”. Vincent’s eyebrows were enough to terrify me to the very core. But it was an honour to sit alongside three other LGBT teachers; Anne Marie Lillis, Niall Callan and Dion Ó Caoimh who spoke with such dignity and eloquence. 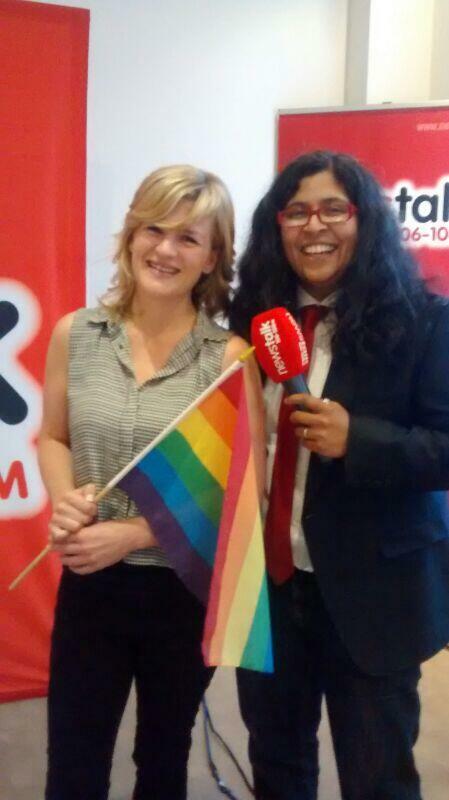 We had the opportunity to be in the presence of many of the incredible spokespeople for LGBT rights in Ireland today. Most notably, the young adults from BeLongTo Youth Services and TENI (Transgender Equality Network Ireland) who spoke so movingly of their experiences of discrimination and the effects it has had on their lives. They are a glaring reminder that we are continuing to force the youth of this country to participate in a national education system that lacks the capacity to tackle homophobic and transphobic bullying and discrimination in many of our schools. During the next few weeks, other opportunities to do interviews came my way. I was so grateful for these opportunities to talk about life for LGBT teachers and student teachers across the country. By then, there was only one type of interview that was of a major concern to me – a job interview. As Dublin Pride week arrived and many of my teaching colleagues counted down the last days of school, I couldn’t relax. Like so many teachers on temporary contracts, I knuckled down to write job application after job application. I started to feel a bit sick as the reality of coming out in a national newspaper began to sink in. It was nice to be referred to as a proud lesbian teacher but I was beginning to feel like an imposter. Could I still be called a teacher if I wasn’t actually teaching? I was giving my hairdresser/unofficial counsellor the update on all that had happened up until mid-August when the nice old lady sitting next to me bent over and tapped my on the arm. “Well did ya love? Did ya ever get a single job offer at all?” she pressed. So I’ve chosen a one year temporary contract in a multidenominational school, an Educate Together National School, where Section 37.1 has no legal bearing on my employment equality rights. It’s the end of my third week. My head is melted and my throat is sore. I’m absolutely loving every minute of it. And when I go in next Monday and someone asks me how my weekend was, I will tell them; without editing pronouns, without avoiding certain questions and without replaying the conversation in my mind afterwards to make sure it was suitable. And then I’ll go back to my classroom and continue to do my job. The last few months have taught me this; If you want to make any sort of contribution to the world around you, you do not need to be anything else but yourself. Of all the lessons I’m planning to teach my 5th Class this year, I’m making that one top of the list. If only our society made it that easy. My reality is that I’m out now, very out! But the reality for most LGBT teachers and student teachers is that they are not out, and they feel that they can never be out in their school if they want a job or a promotion. And the number of teachers, gay or straight, who feel equipped to tackle homophobic bullying in our schools is miniscule. And this should not be the reality, for anyone, anywhere. No excuses. Thank you to every single person who has supported this blog and especially to the other contributors so far; Cecelia, Niall and Ciara. And to other LGBT teachers who are wondering if their story is worth telling? Stop wondering and get typing/talking/sharing. Your voices and the voices of our many supporters remain the single most effective tool in combatting discrimination in our schools today. This entry was posted in Uncategorized by eileengamble. Bookmark the permalink.